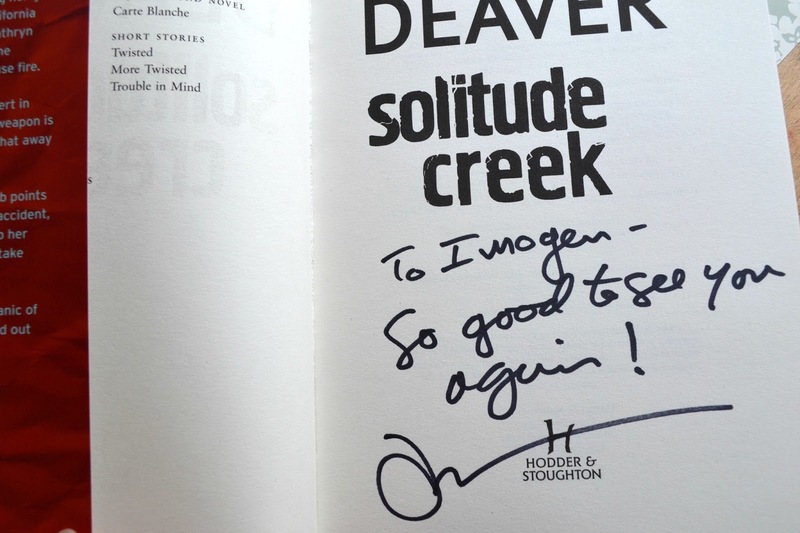 A couple weeks ago I went off into Manchester to the Waterstones in Deansgate to see one of my favourite authors of all time speak about his books. 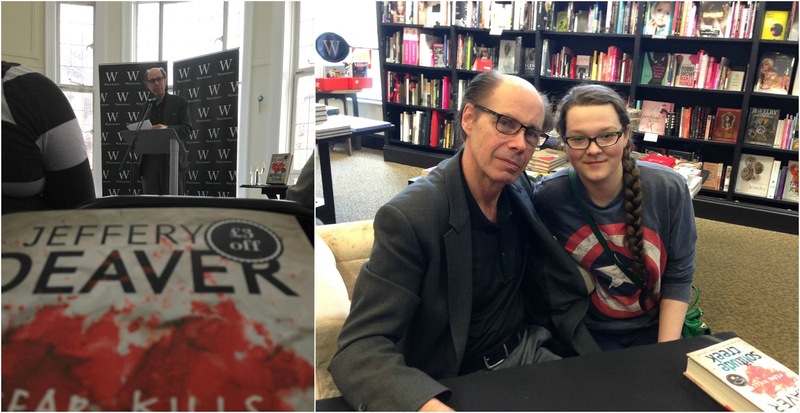 Jeffery Deaver. The talk was mainly to find out about his new book, Solitude Creek, the fourth book in the Kathryn Dance series. The new book sounds absolutely fascinating and I'm thinking I may marathon the Kathryn Dance series sometime this year, it's been a while since I read them. The new bad guy doesn't actually kill people himself but kills by inciting panic in public places. Big crowds of panicked people = not good. One of the most interesting things he spoke about was how the draft compares to the final edit and even read out a long page of initial draft then the sentence that ended up in the book. He also let us know he's going to have a writing book coming out in the next couple years and you can bet I'm buying that! After his talk I waited in the signing line for a while and had the opportunity to talk to him where I mentioned seeing him about five years ago at one of his signings. Hence the message he wrote in my book, I love it. It was a really interesting and fun event and totally underpriced at £3 a ticket for Waterstones loyalty card holders. Have you ever seen one of your favourite authors talk?